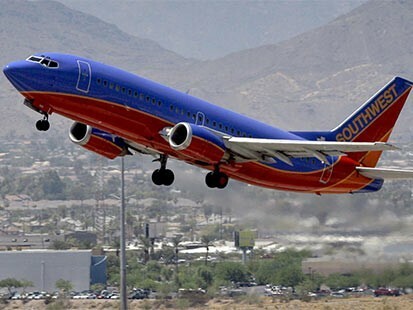 Southwest Airlines has been my favorite airline for a long time - I've written about them often in this blog and talk about them often in my speeches. I'm a Southwest fan not only because of positive experiences, but also because their success and almost cult-like following has been a great case study as a speaker and consultant. But I've noticed a disturbing trend over the last several flights I've had with them. It seems that more and more of their employees have adopted what I would call an "attitude of arrogance." Since most interactions are with flight attendants, this trend has been most noticeable with them. Whereas in the past just about every flight attendant was personable, funny, and helpful, I'm seeing more flight attendants being standoffish, mechanical, and (even worse) impatient with passengers who might be struggling with overhead bag space or trying to find seats for the whole family. On a Southwest flight last week, in fact, I watched a flight attendant work herself into a huff as a mom was making sure her children all had seats before she sat down. Yes, the mom was slowing down the boarding process, but the flight attendant should've helped out rather than embarrassing the mom in front of a planeload full of passengers. By helping, the flight attendant would've sped up the process and saved the mom's dignity and peace of mind. Southwest has never been a perfect airline; I've seen a few less-than-stellar Southwest employees before. But those instances were rare. But lately I've noticed "unSouthwest-like" behaviors becoming more common with more employees. I don't know about you, but I feel let down when a trusted organization violates a trust that has been built up over many years. It almost feels like a close friend violating a trust. And once an organization begins to lose the trust of their loyal customers, lost loyalty isn't far behind. I'm hoping that Southwest Airlines hasn't gotten too big for its britches. But the attitude of some of their employees is one of resting on their reputation. It's as though they're saying to passengers, "We're doing you a favor by allowing you to fly an airline with a reputation as legendary as ours." Well, they should study the fates of other once successful companies that started taking their success for granted such as General Motors, Circuit City, Woolworth's, Eastern Airlines, Washington Mutual, Bennigan's; and the list goes on. The lesson here is that no matter how stellar your organization's reputation is, that reputation is very fragile. Customers might be willing to forgive the occasional blip in service, but they won't forgive arrogance. They have too many choices, and every one of your competitors would be giddy to get your customers' business. Each of your employees must be hungry to build solid customer relationships, and the only way to do that is to treat customers with the care and respect that demonstrates that you value their business and are honored that customers have chosen to do business with you. Do your customers feel you VALUE their business and that you are HONORED they've chosen to do business with you? Is there even a hint of arrogance creeping into your performance?